The one for when glitter just isn’t enough. 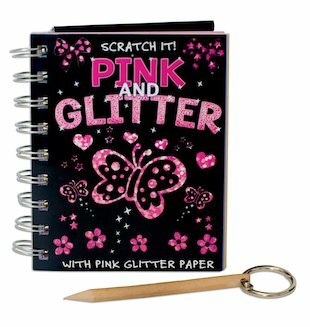 Sometimes you need PINK and glittery! Magical mermaids, ocean shells and fairytale castles. Sparkly fun to leave you in the pink. This gorgeous little kit brings a fantastic new dimension to the sensationally popular Scratch It! range. Use it to give an extra-pretty look to all your scratch creations. I realllllllllly want to get this book and i am! is it good?